USDCAD had an early decline yesterday but today it tried to rebound until it fell again later. The pair is going down the descendant channel not creating a clear pattern. All the attentions at this moment are at the oil market which will influence this pair. If oil pulls back, it will push USDCAD to higher levels. 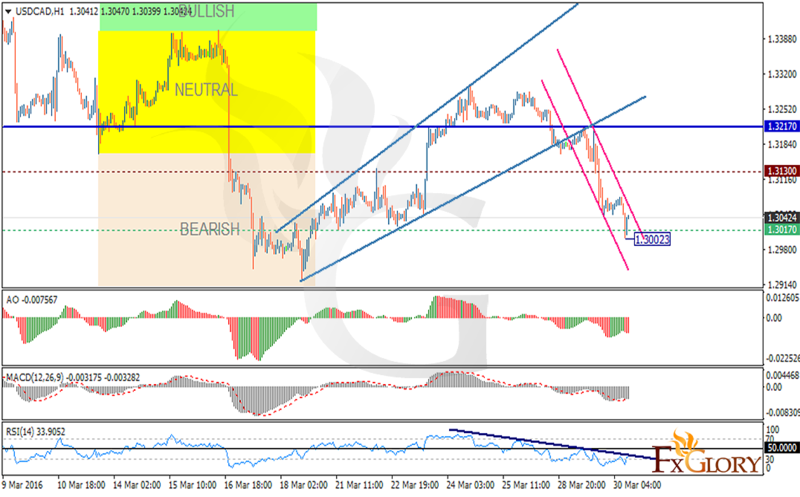 The pair is finding support at 1.3017 with resistance at 1.3130 which are both below the pivot point at 1.3217. The MACD indicator is in negative territory showing the price consolidation and the RSI is below the 50 level. There is no trading recommendation for this pair now and traders need to wait for a better chart setup.